For the last year or so, this correspondent has been making regular trips to Melbourne and more often than not has stayed at the Hilton South Wharf. I’ve never really been a fan of hotel bars (unless someone’s paying) and the paucity of venues nearby the Hilton and an aversion to Crown has forced me into the inner city ‘burbs for drinking adventure. Recently, though, there’s been a gradual increase in the number of South Wharf venues – so much so, that it’s almost become a bit of a precinct. I’ll still always prefer to venture to the ‘burbs, but if I’m dog tired I at least know that there’s a handful of places to sip on a couple. 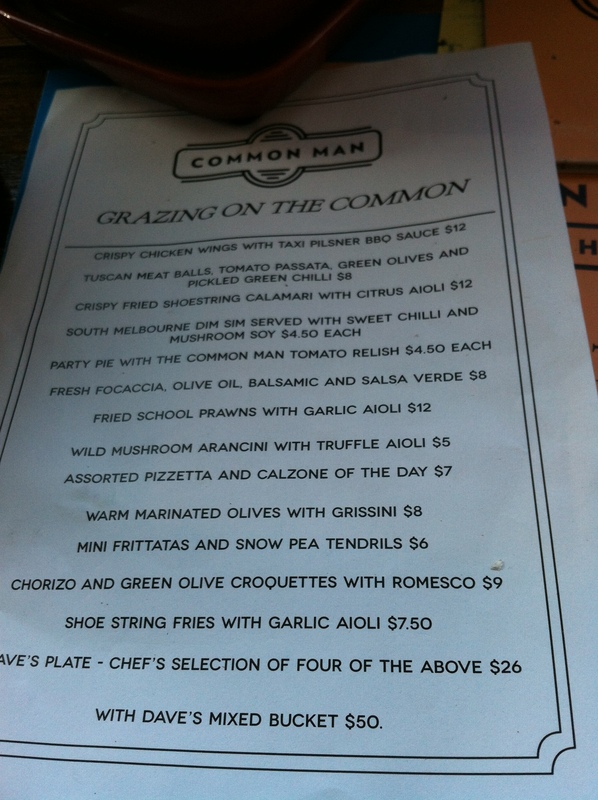 In addition to the BoatBuilder’s Yard (previously reviewed), you can also enjoy a bevvy at the Common Man, the Melbourne Public Bar and the Meat Market. It also looks like there’s plenty of room for some future openings with lots of unfinished builder’s business all around. I’ve yet to visit the Meat Market. It looks worth a pop – in with a promising meat menu on offer. Beers are served in a Butcher’s (200ml), which sounds a little silly. It’s not like Melbourne’s the Top End where your beer can get warm instantly. I did pop into the Melbourne Public Bar. Gees – this place is huge. I think it’ll be my sports watching venue – though there’s plenty more to it than that. I also dropped in on the Common Man and enjoyed a bevvy there whilst the sun was still out. This is a very comfortable looking place and whilst it has views of the river it is set further back that the Boatbuilder’s Yard. The beer list is another eclectic one and the presence of a growler on the bar looks like they might offer that service to patrons, which would be good. 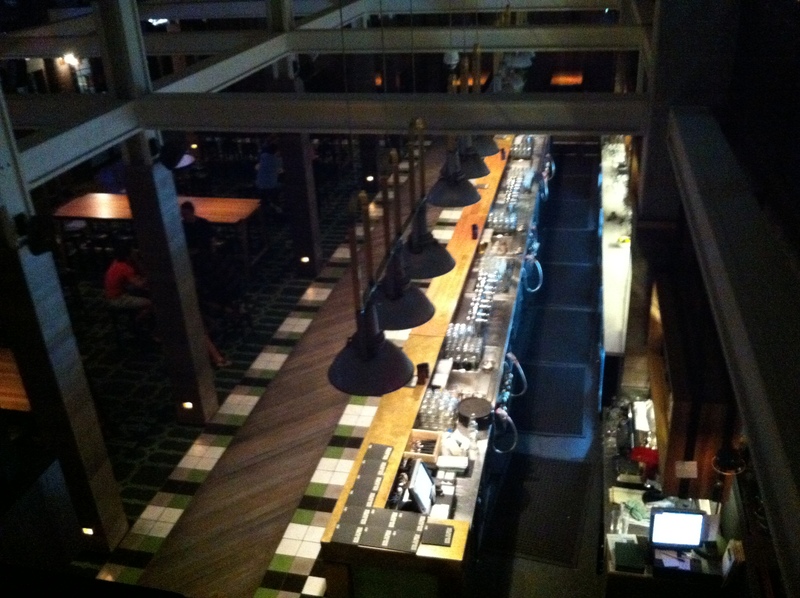 The grazing menu looks really affordable and diverse – and I’ll give that a go next time. The Common Man did offer me a beer that hasn’t graced the pages of the Back of the Ferry. 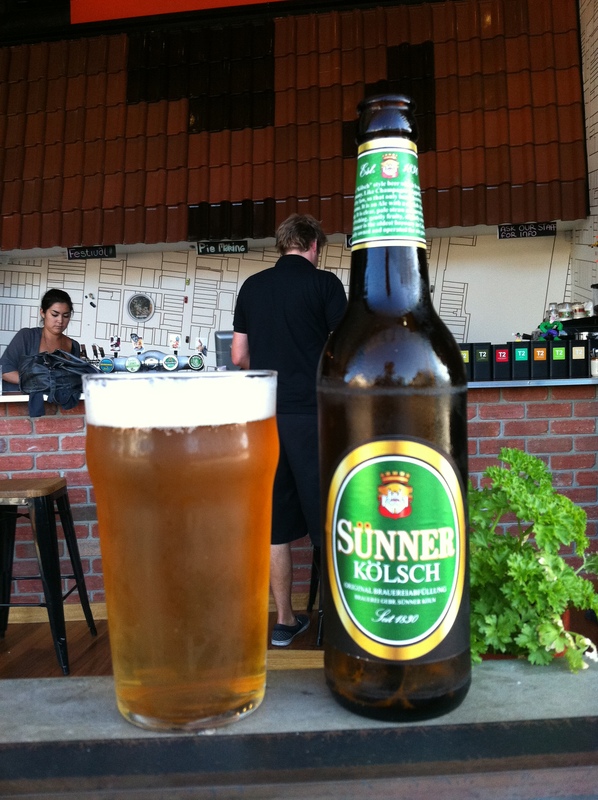 Sünner Kölsch is from Cologne which proclaims itself as the home of the Kölsch style of beer. There is a thing called the Kölsch Konvention, of which there are 23 signatories, and if the had their way the only people that could call their beer Kölsch, would be brewers from Cologne. 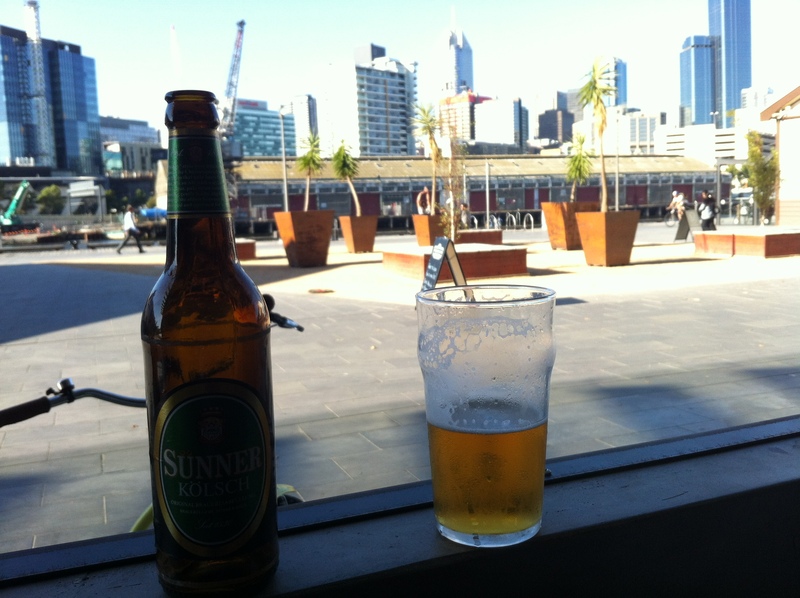 I’ve drunk plenty of Kölsch style beers in Australia and they were quite different to the Sünner. The Sünner was really quite malty, whereas the Orstryan Kolshces were quite citrusy and bright. The ad that I’ve knocked of the Sünner website is quite amusing if you speak German. 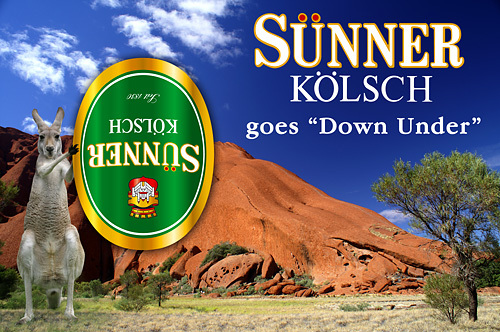 They are very excited to import Sünner to Australia, but aren’t sure whether the head would be at the bottom or the top of the glass – given “Down Under”.